Students at Pilgrim School have really jumped into service learning this school year! As Mek Worate explains, from cleanups to campaigning for Prop 67, Pilgrim School have become blue-star healers of the bay. Campus cleanup before beach visit to kick off the school year. 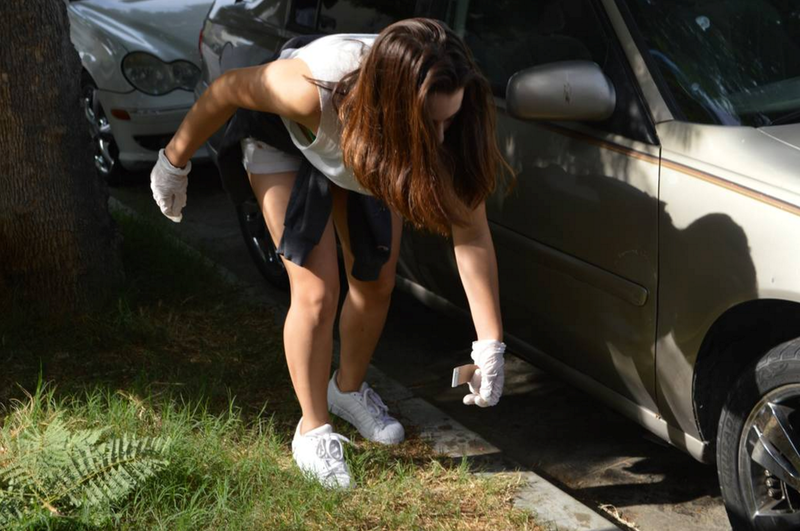 Our school had a community clean up event in August. 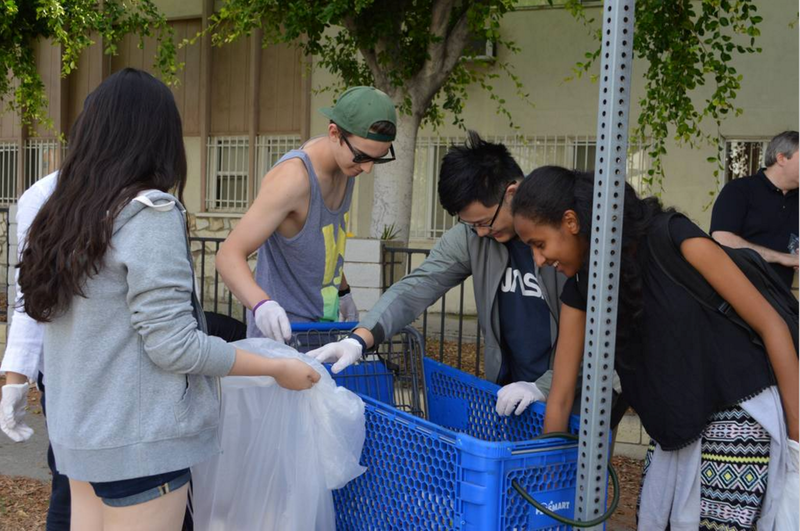 Students from grades 9 to 12 participated by going around our neighborhood cleaning up trash. Students were divided among their grade level and assigned different areas. We were taught about the harms of materials made out of plastic that are not biodegradable and the changes they bring to the surface of our planet through accumulation and fragmentation of plastics which can affect habitats and wildlife. While picking up trash we collected data on what kind of trash we got from different areas and almost 60% was plastic. You never know what you’ll find at a cleanup! After the community clean up event at our school, a group of students wanted to do something to improve the current situation. 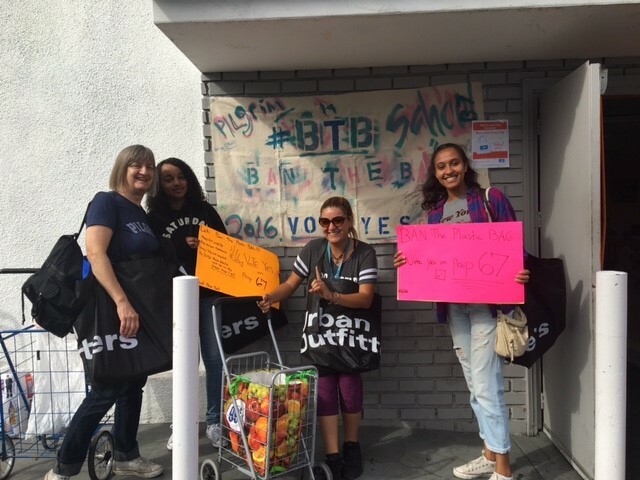 So in September, we got together and went to the Ban the Bag Youth Summit, hosted by Heal the Bay. We were trained and educated about the broader issue of plastics in the environment and it gave us an opportunity to do something about it. At the Youth Summit, students from different schools attended and were given the training as well. We got to practice speaking out against plastic pollution and trained among students from different schools. 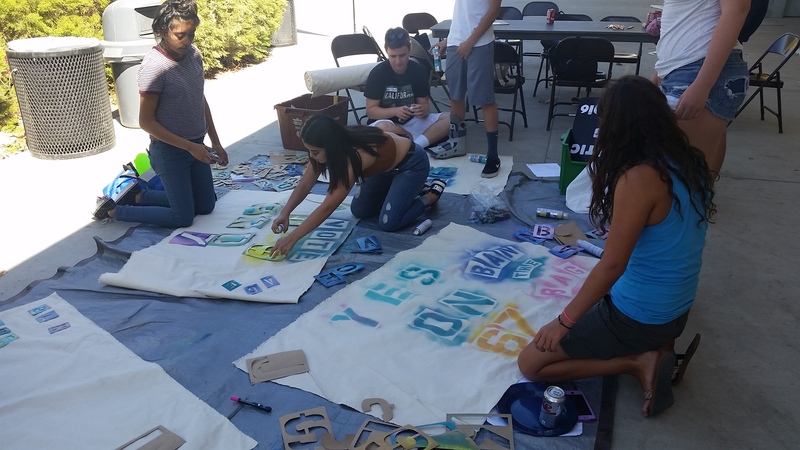 We also got to spend time creating posters and signs that supported Proposition 67, a statewide ballot initiative that aimed to ban plastic bags and supports the use of reusable bags. The summit prepared us to host a reusable bag giveaway in our community as a part of October 20th’s Reusable Bag Day. 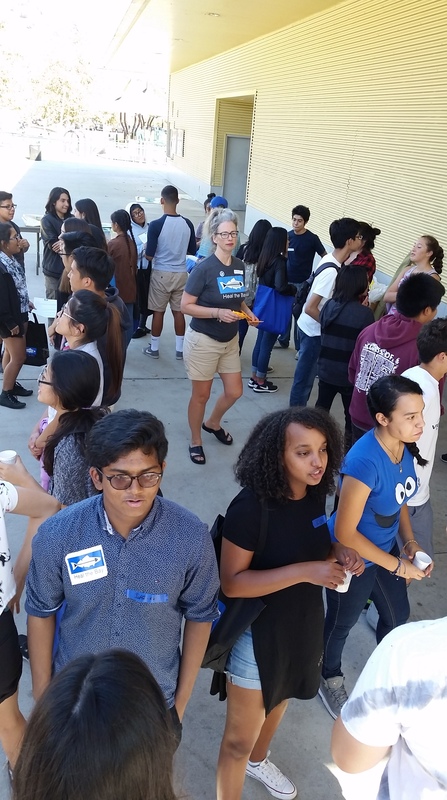 At our Reusable Bag Day events, our school was split into two groups to spread out and introduce the proposition that was on the ballot for the current election by distributing reusable bags. One was held at an open house for our own school. The other one was held at the Islamic Center where the donations from food bank is distributed to the community. All of our experiences with Heal the Bay this year have been rewarding and eye opening, let’s see what comes next! Update: We’re so happy to have had the campaigning efforts of Pilgrim School. 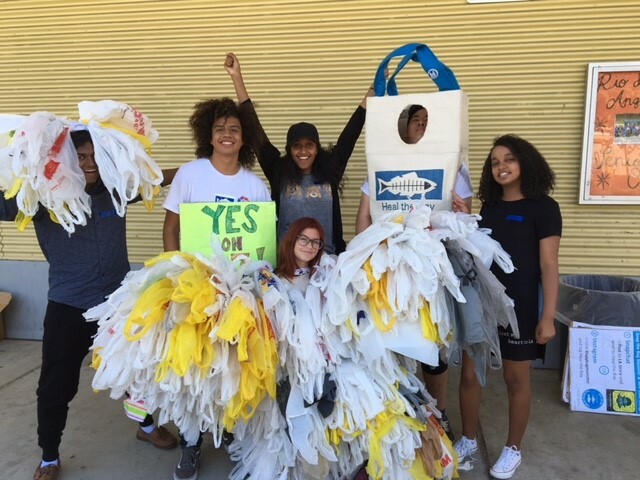 Because of efforts like theirs, Californians voted to Ban the Bag for Good on Nov 8th, putting Prop 67 into effect immediately. Thanks Pilgrim for all you do!